CRAPTASTIC: Five Feature Friday #9! Phew! Another week down! I finally decorated for fall, and now the weather seems to have caught up! It was overcast and cool all day today! My favorite kind of day! Oh, how I LOVE fall! Let's check out this week's features! 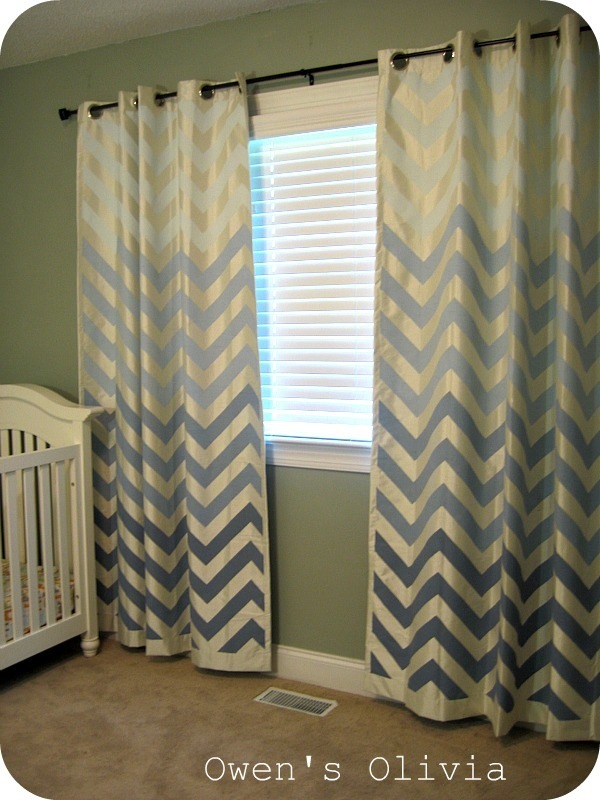 I have a VERY unhealthy obsession with chevron! I just adore these ombre, chevron curtains from Owen's Olivia! What an adorable way to brighten up a nursery! This is an iphone case!! Shut your mouth! Kerr-afty Creations made this from an inspiration pic on pinterest. I love the colors she used! This is definately on my to-do list!! This redo from ShabbyMomma is absolutely gorgeous! I love all of the details and the distressing! But wait until you hear what was inside of this thing! I busted out laughing when I saw - go see, you won't be disappointed! Are you sensing a theme here? Owls and fall? Yes, please! Life With Lulu and Jundebug... and Carter Too decided to repurpose her daughter's old shirt into art, rather than give it away! I love how it looks in its new home! Peanut Butter Plaza worked incredibly hard to creat this gorgeous piece!! It looks stunning in its new color! 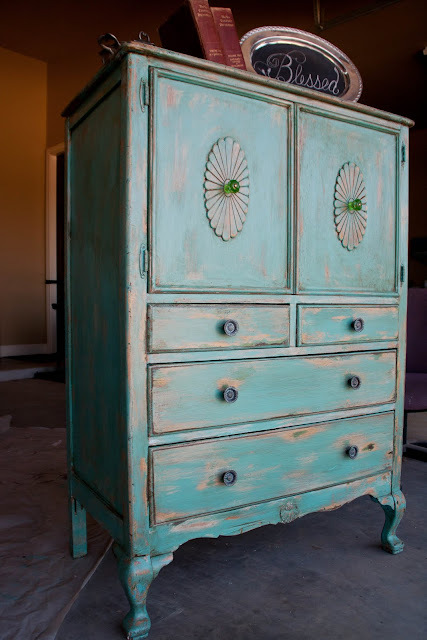 Such a beautiful dresser style too! i just found you through kerr-afty creations! glad i did...! this is an amazingly cute blog! Thank you Katie! Love the blog name. You rock! Katie just wanted to let you know that I linked back to you in my latest post! Thanks so much for the feature! I am truly honored! I am your newest follower! Thank you SO much for featuring Shabby Momma! (me!!) I have become a new follower and I LOVE your blog! !